GST is around the corner. It would be implemented from July 1, 2017. The preparation from Govt. agencies and GSTN are in full swing. Smart businessmen have already started planning for GST. Upgrading to digital invoicing is needed for GST so up gradation of accounting software is a must. 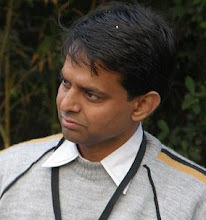 Those businessmen who are using software for invoicing and inventory management are updating their software and those who were doing manual billing has to move to some sort of software. If you are the one who is planning to move towards digital invoicing then this is the right time, Why ? 3. Smooth interaction with GSTN portal. Any software which cannot perform any one of the above task is not fit for GST. Tally with its current version of ERP 9 and latest release of 5.4 onward is capable to do all these tasks. More over Tally is GSP (GST Service Provider) also the interaction with GSTN portal is going to be smooth. 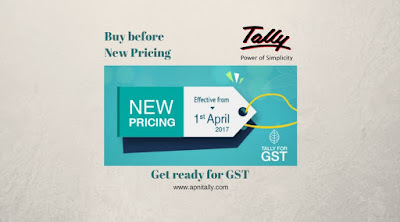 So if you want to go the digital invoicing then Tally.ERP 9 is your Best bet in your preparedness for GST. As we have discussed that Tally.ERP 9 is a natural choice for getting ready for GST. It is not only because Tally is already choice of 1 million customers but also because it has achieved the milestones of GST compliance well before arrival of GST. Many a businessmen say that when GST would arrive then would think after that but let me tell you that preparation before hand would save you money as well as efforts. So if you have any plans to buy software then this is the right time. Buy now, practice on Tally, practice you return filing habits on monthly basis right from now, record your itemized inventory now , prepare your closing stock as soon as possible before GST and be ready to claim your input tax credit and save money. If this is not the reason good enough then another reason is that if you buy now then you can cave on cost too. According to Tally communication they are revising their rates from April 1, 2017. The rise is about 17.5% of current price so it is a wise decision to buy it before March 31st, 2017 and save on cost. Now you can buy your Tally online with ApniTally as your support partner. Just click on the link and fill the necessary details and get your copy of Tally online. Any Debit card or credit card can do this for you.